Presenting a refined luxury living experience at 33 strand beach, an iconic property sited on the front row of the popular strand at headlands. 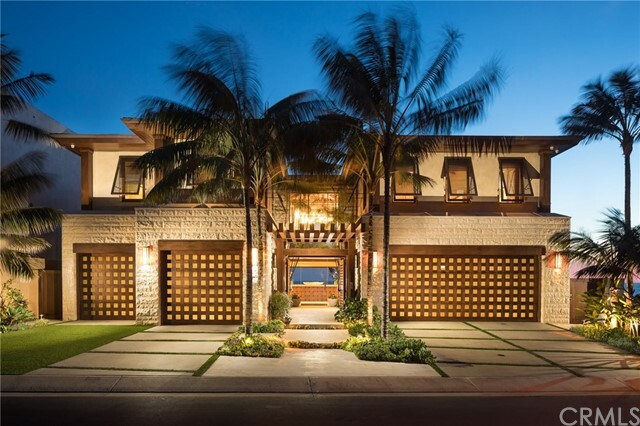 Designed by the prolific firm cj light associates, the property brilliantly blends the rich character of balinese style with crisp contemporary representation. Entering through the serenity of the secure, front glass courtyard with soothing water features, you are led into a main level that immediately moves your eyes through the open floor plan and out the back where over the infinity pool and abundant terrace spaces lies panoramic ocean views with catalina island and coastal vistas. Various sitting areas adjoin the inspiring gourmet kitchen with double islands and one-of-a-kind backlit onyx wall. Sliding walls of glass pocket open, perfectly melding the indoors with the outdoor spaces. 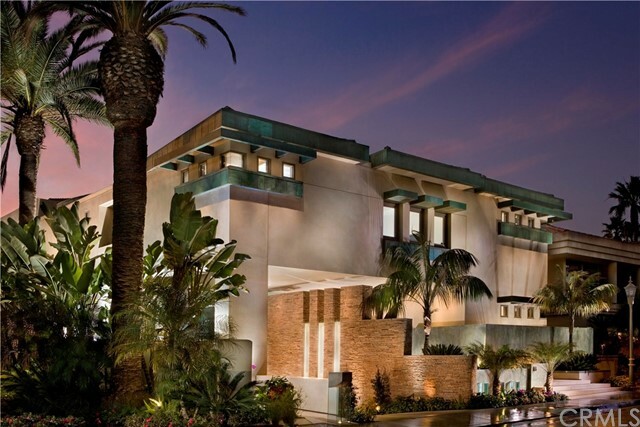 The walkout lower level was built as a haven for opulent resort-style living with the screening room hosting a 98" viewing screen and bar, wine wall, full size gym, spa with massage room/sauna/steam and dual lounges with expansive ocean views. The upper level master suite with private terrace and its perched vantage point, provides the tranquil resting quarters with dual his/her master bathrooms and lavish closets. The dramatic pool cascades water two stories down to the lower terrace with plentiful grass areas. Rich in quality and generous in fine materials, 33 strand beach is one that is to not be overlooked by the discerning real estate buyer. 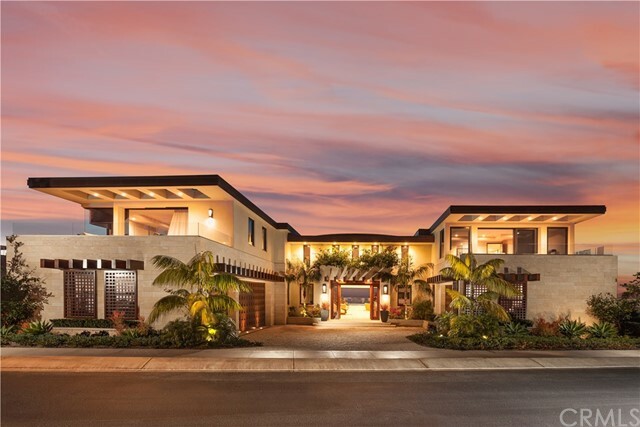 From its awesome second-row perch above the mercurial pacific ocean, this unparalleled custom estate in dana point’s the strand at headlands redefines luxurious seaside living. Ocean, whitewater, shoreline and evening-light views will be enjoyed from nearly every indoor and outdoor vantage point of the residence, which is designed by award-winning brandon architects and scheduled for completion by the end of 2019. Floor-to-ceiling windows, slide-away glass doors, skylights, towering ceilings and generously sized living spaces combine to create a breezy, sophisticated vibe in the home. Discover 5 ensuite bedrooms, 7 full and 2 half baths, a media room, wine cellar, bar, theater, game room, gym and office in approximately 8,219 square feet. Served by an elevator, the 3-story floorplan welcomes guests on its main/2nd floor with an atrium-style foyer leading the way to a formal dining room with sliding doors for privacy, a great room, breathtaking island kitchen with secondary butler’s kitchen, and access to a the ocean-view cabana, pool and spa. The infinity pool and spa create a cascading waterfall that adds tranquility to a lower sun deck. Ocean views are also enjoyed from a balcony off the master suite, which exhibits a sitting room with fireplace, and a stunning bath with dual-walk-in closets and a massive glass-enclosed shower and tub space. Folding doors open the office to a front patio, and a 3-car garage includes a lift. Listing Agent: Arlen Raubach Listing Office: Residential Agent, Inc. 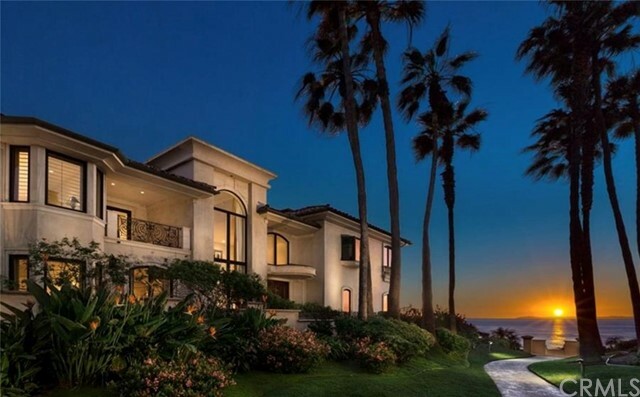 Located in prestigious gate-guarded ritz cove, this stately oceanfront residence occupies the premier location within this established coastal enclave. Situated on an elevated corner parcel, the classic mediterranean architecture has two full, ocean-facing exposures. 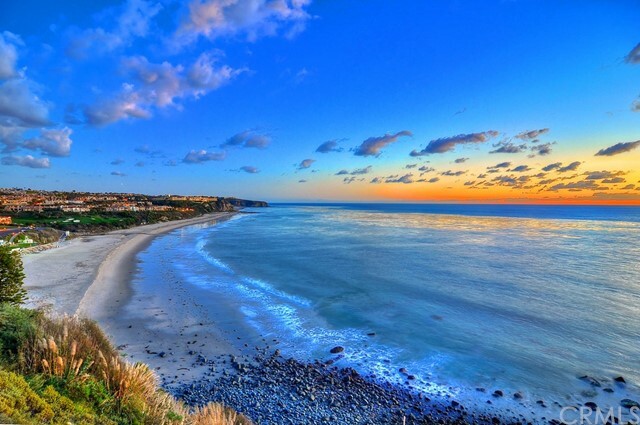 By day and by night, the ocean and coastline views are simply unsurpassable. Inside, an elegant and relaxed atmosphere defines the home. Warm tones, rich materials, and a spacious plan provide the optimal environment for living and entertaining. Imported limestone, artisanal finishes, and exquisite craftsmanship are the hallmarks of the design. A series of informal rooms flow from one to another and then open to seaside terraces and a pool overlooking the ocean. 70' feet of ocean frontage ensure that all main rooms have views. The kitchen is light, bright and detailed with top-of-the-line appliances. The perfectly appointed master suite is a relaxing retreat and includes a sumptuous bath and large oceanfront terrace. This property also has direct, gated access to one of this coast's best swimming beaches. Located adjacent to monarch beach's 5-star rated ritz carlton, its amenities complement the resort setting. The region's finest dining, shopping and recreation are but minutes away. Listing Agent: Suzi Dailey Listing Office: Realty One Group, Inc. Carefully positioned on a hillside homesite to provide maximum enjoyment of its premium ocean and coastline views, this exceptional custom estate at the guard-gated community of the strand at headlands redefines contemporary seaside living. 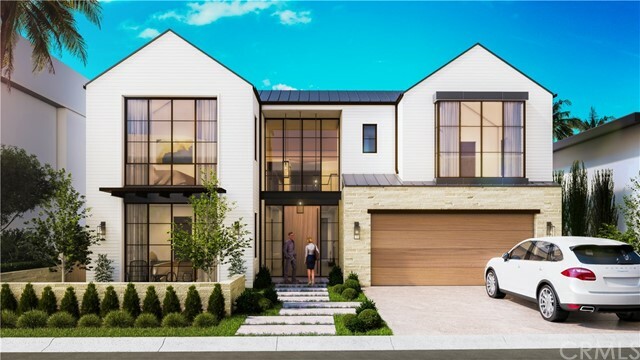 Anticipated to be complete in late 2019, the architectural showplace blends the warmth of woods and other natural elements with the drama of high ceilings, vast living spaces, and state-of-the-art finishes, appointments and behind-the-scenes systems. Reflecting the sought-after talents of brandon architects, the three-level estate encompasses approx. 7,915 s. F. And features 5 ensuite bedrooms, 6 full and 2 half baths, an office/ den and a split 4-car garage. Introduced by an outdoor bridge, the stunning foyer leads to a vast open space with high ceiling that includes a formal dining area, great room with glass pocket doors to the rear terrace, and an oversized gourmet kitchen with island, bar seating, walk-in storage pantry, top-of-the-line appliances, and a grand-scale butler pantry/catering kitchen. This main level also boasts a five-star master suite with enormous walk-in closet, a spa tub, and pocket doors to a sun deck. The top level hosts two separate bedroom suites, and the subterranean floor is an entertainer’s dream complete with a grand lounge, pub bar, custom home theater, a private grotto, media room, and a gym with sauna. Breathtaking ocean and sunset views enhance a terrace with infinity pool, spa and fire pit.